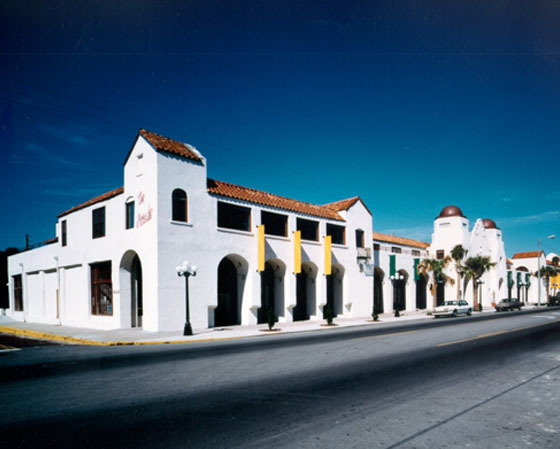 This 1920s Spanish Mission-style hotel, once the focal point of this Florida community and now on the National Register of Historic Places, has regained its prominence through restoration and conversion into an office/retail center. Restoration of the main facade with its arched arcades included the reconstruction of the three-story domed towers flanking the large central gallery. The rear exterior, previously a service area, has been transformed into an airy garden terrace with retail and restaurant frontage.